President Barack Obama dug deep into his Hollywood rolodex to get celebrities to promote his unpopular Obamacare legislation. 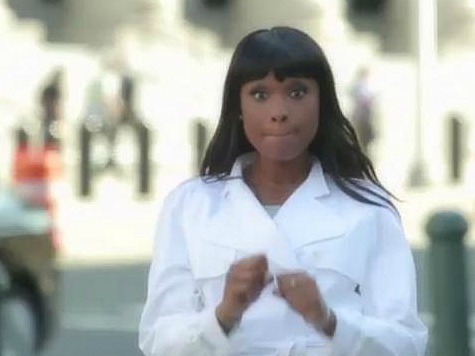 The liberal humor site Funny or Die just launched its first propaganda effort on Obama’s behalf starring Jennifer Hudson in a limp spoof of the ABC show Scandal. But despite two Hollywood-heavy campaign seasons, leading the GOP twice to dub Obama the “celebrity president,” research is against Team Obama’s reliance on advertisements and PSAs featuring stars. Such marketing, with a few exceptions, does worse with viewers across the board, said Jonathan Symonds, executive vice president of marketing for the television analytics company Ace Metrix. Of the 2,000-odd political ads released during the 2012 campaign, the ones for which Team Obama enlisted the help of Sarah Jessica Parker and Vogue’s Anna Wintour, among other celebrities, were the worst performing, Symonds said.